The 2014 NGS Family History Conference will be held in Richmond, Virginia, May 7-10, 2014. I received an email earlier today announcing they will be accepting lecture proposals from speakers beginning January 1, 2013. The email in its entirety is included below. 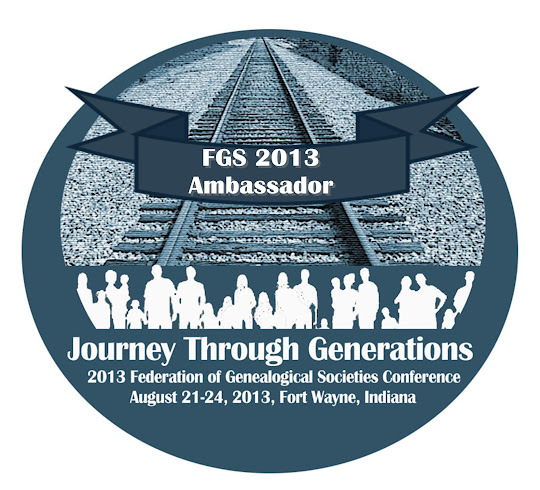 Beginning 1 January 2013, speakers as well as organizations interested in sponsoring lectures or tracks are invited to submit lecture proposals for the NGS 2014 Family History Conference, Virginia: The First Frontier, to be held 7–10 May 2014 in Richmond, Virginia. The first permanent English settlement in North America, Virginia has been home to countless individuals—some remained for generations; others moved on to the next frontier. Building on the records and history that draws so many back to their roots in the Old Dominion, we will explore the origins of those who settled within Virginia’s borders whether they came by land or sea. Among the topics being considered are lectures on the history, records, repositories, and ethnic and religious groups of Virginia and neighboring states including Maryland, Pennsylvania, West Virginia, North Carolina, South Carolina, Kentucky, and Tennessee with special emphasis on migrations into, within, and out of the region down the Carolina and Great Wagon Roads, over the Appalachian Mountains, and across the south to Texas and beyond. Other regional topics of interest include the origins of the early settlers, land and military records (especially the French and Indian, Revolutionary, and Civil wars). Proposals are also solicited for the broader genealogical categories including federal records, the law as it relates to genealogy, methodology, analysis and problem solving, and the use of technology including genetics, mobile devices, and apps in genealogical research. Sessions are generally limited to one hour. Camera-ready syllabus material, due 17 February 2014, is required for each lecture or workshop presentation and will be included in the syllabus distributed to all conference registrants. Speakers are expected to use an electronic presentation program and provide their own digital projector. NGS will provide projector support, which consists of a VGA cable, cart, and power strip. No live Internet connections will be provided. Submit each proposal electronically through the NGS website, between 1 January and 1 April 2013. Speakers may submit up to eight proposals. NGS members will be given first consideration as speakers. Interested individuals and organizations should follow published guidelines at the NGS website. Organizations wishing to sponsor a lecture or track of lectures should review the details and sponsor requirements at Sponsored Call for Papers. The deadline to submit sponsored lectures is also 1 April 2013.